Today we are all used to our smartphones. We like when technology assists us in our life and the phone is with us for most of the day. 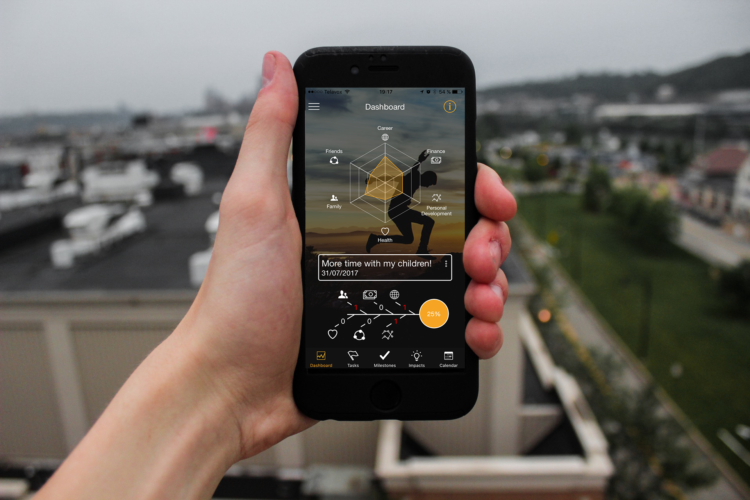 Setting and tracking life goals is one of the needs the NoLimit-app covers. The usage of apps to set and track goals on Android or iPhone is increasing rapidly, a UK survey shows. ” The incredible extent to which the younger generation is relying on gadgets to set personal goals, measure success and stay motivated was revealed after researchers polled 1,664 adults between the ages of 18 and 34 across Great Britain. 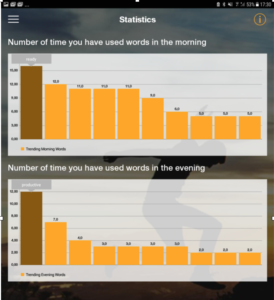 The NoLimit-app strives to become a natural part of your daily life, with continuous improvement over time in focus. As we often say; change takes time, keeping them takes a lifetime. When I use a goal setting app on my iPhone, the best part is all the statistics I can follow and analyze. To see how my stats changes is a huge motivator. In the app, I can break my goals and projects down into smaller tasks and milestones. In the self-assessment I can view my average over time to evaluate my well-being and if I need to think differently in parts of my life. Is the goals I’ve set enough or do I need other goals to work with as well. Working with goals and changing habits is hard work, but technology can help. This is the first step, find a goal that will motivate your increased efforts and stimulate new behavior. Write why this goal is important and define a realistic timeframe. To reach your goal you must make changes in your life. Changes are either new tasks or more/less of existing tasks. Break down the path with milestones on the way.